Buying gifts for friends and loved ones can be a daunting task – especially when juggling last-minute work deadlines, planning holiday travel, and/or enduring everything else that comes with the fast-paced life of cosmopolitan living. Gifting options have become more and more globally accessible via the Internet and expedited shipping – allowing the latest must-have products produced worldwide to be effortlessly transported right to your doorstep. From new beauty gadgets to the latest age-defying skincare lines, 2016 brought us a number of exceptional products in the department of beauty and men’s grooming that you need to know about before calling it quits on holiday shopping. Rest assured that all products have been personally reviewed and endorsed by me to ensure quality/worry-free purchasing decisions for my readers. Get your hands on these editor’s pick must-haves before the holiday season ends and happy shopping! iRESTORE - Laser Hair Growth System: Branded as the future of hair growth, iRestore set out to create an alternative to current mainstream hair loss solutions. This FDA-cleared medical device is at the forefront of hair restoration technology – harnessing the power of LLLT (low level laser technology) that is scientifically proven to stimulate hair follicles to regrow thicker, fuller hair. iRestore is pain-free and only requires the wearer to use the device for 25 minutes every other day (this becomes second nature after 4-6 sessions). I highly recommend this medical device (in conjunction with other physician-approved hair loss solutions such as topical minoxidil and finasteride) especially to men experiencing early stages of hair loss. As with anything under the cosmetic umbrella, early intervention and prevention is key. With a 6-month money back guarantee, and a current holiday discount of $200 off the retail price, this product is a no-brainer. For more information on this innovative product or to purchase it online, visit their main website here. FOREO - The Ultimate Skincare Kit: The Luna™ 2 For Men has been a winner in my book since the beginning of the year, as it is simply the best T-sonic™ facial cleansing device for men currently on the market. Harnessing twice the power of Foreo’s first model, this device removes 99.5% of pore-clogging dirt and oil from the skin while visibly reducing fine lines and wrinkles – killing two birds with one stone. Right now Foreo is offering an amazing holiday steal on this device (as part of an ultimate skincare kit that also includes the LUNA Play facial cleansing brush) with a reduced price of $199 from $258 with free shipping! Get your hands on one of these award-winning devices while the sale is still alive by visiting their site here. HYDROPEPTIDE - Lumapro-C: This brand-new and breakthrough serum is the most results-yielding cosmeceutical product I have reviewed throughout the entirety of 2016. Lumapro-C is a drug-free pigment corrector that effectively reduces the appearance of all types of hyperpigmentation – including age spots, sun damage, and pigmentation caused from acne scars. Formulated with active ingredients such as DermalRX SRC (breaks down hyperpigmented cells to enhance skin texture and brightness) and Algaktiv LightSKN (blend of microalgae clinically proven to brighten age spots), the science backing this product is nothing short of impressive. Every now and then I acquire a few unwanted blemishes, and this product has done wonders for ensuring that virtually no pigmentation is left behind post breakout. 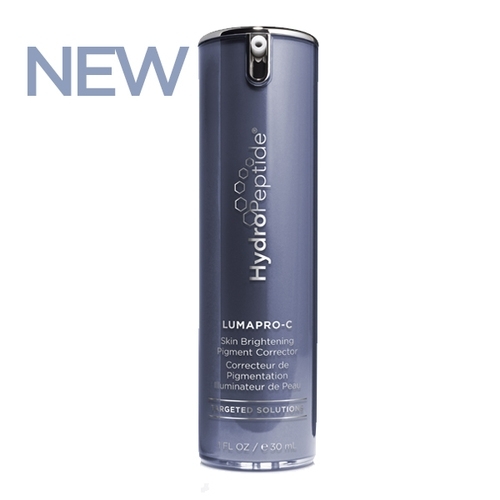 Serving so many purposes, Lumapro-C is really great for anyone of any age that battles hyperpigmentation. Get yours today while supplies last by visiting HydroPeptide’s main site here. 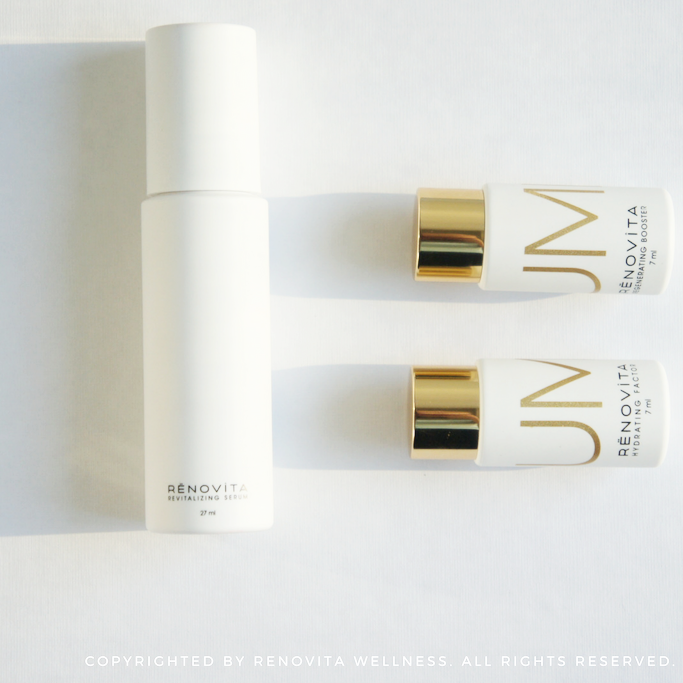 RENOVITA WELLNESS - Customizable Skincare Regimen: Renovita Wellness represents the vastly approaching age of tailor-made skincare. The idea behind customizable skincare is that we are all unique in regard to our skincare needs, and thus our skin necessitates distinctive requirements. Renovita offers a highly personalized approach to meeting those needs via their Clean Beauty Program – a program that yields a skincare regimen crafted to meet all of your individual skincare needs. Backed by a scientist and committed dermatologist, the CEO focuses a two-way approach to achieving optimal skin. For more information on this pioneering skincare and wellness enterprise, visit their main website here. 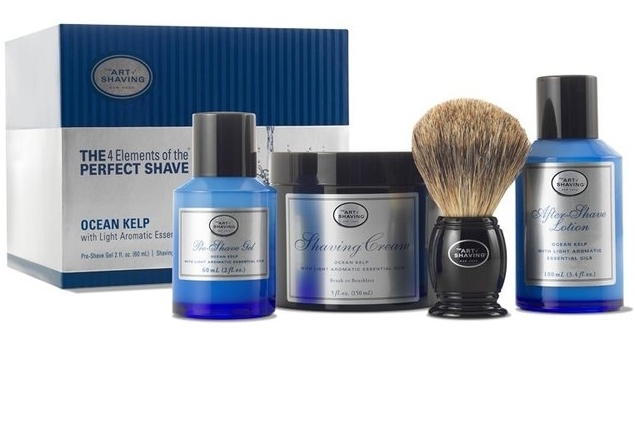 THE ART OF SHAVING - Ocean Kelp Full Size Kit: If you’re looking for a multi-product shaving gift, this one has everything any man would need excluding the actual razor (for great razor gifting options, check out these luxuriously polished Parker Safety Razor sets here). The Art of Shaving has been an industry leader in shaving products for more than a decade for a reason – they specialize in quality. When used as directed, you can be assured that your skin will be left free of razor burn, nicks, or ingrown hairs while achieving an ultra-close shave. For more information on The Art of Shaving, or to purchase this kit directly, visit their website here. GAFFER & CHILD - Hair Pomade: Gaffer & Child’s products are crafted using locally sourced organic ingredients of the highest quality. Packed with a powerful blend of nourishing pure oils, this on-the-go lightweight styling pomade serves two purposes – it provides ultimate hair hydration while also delivering effortless hair sculpting without excess buildup. This line of products truly represents the future of hair care – cruelty-free, high quality, and free of all the nonsense (common irritants and preservatives) found in most mainstream products on the market. For more information of this exceptional line, visit the company’s main website here. BLACKWOOD FOR MEN - Active Man Hair Care Gift Set: This set is especially great for men looking to stimulate hair growth (thanks to the Active Man Daily Conditioner’s high grade botanical power ingredient, licorice root). Blackwood For Men is quickly establishing itself as an authority in premium, yet affordable men’s grooming products among industry professionals – being free of parabens unlike most mainstream brands currently on the market. I have had the pleasure of reviewing this line prior to it going live for consumers to purchase. For more information on Blackwood For Men’s soon-to-launch product line, join their VIP Club via their main website here. 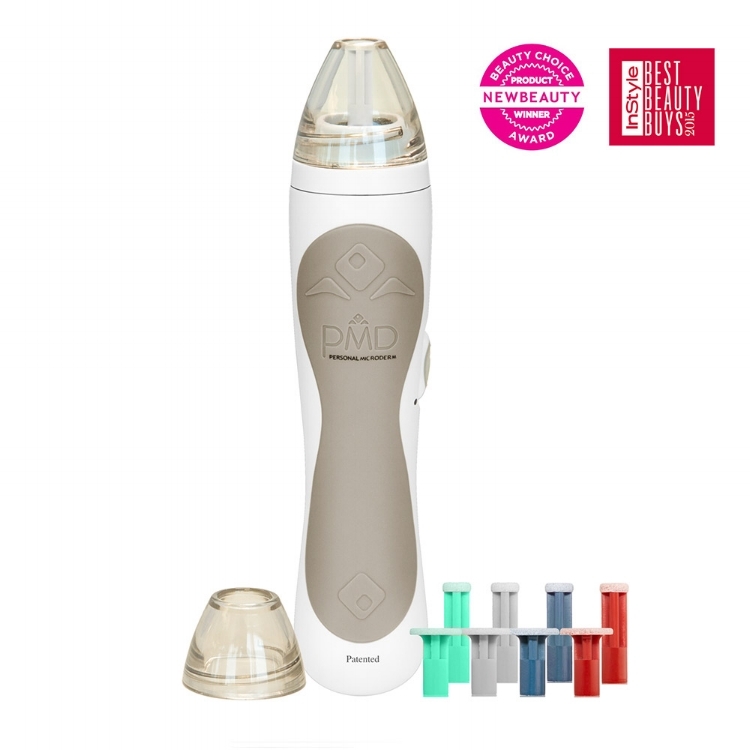 PMD BEAUTY - Personal Microderm Pro: Having had professional microdermabrasion treatments at the dermatologist’s office, this device is as close as it comes to getting an in-office treatment. It comes with multiple exfoliation discs for a customizable treatment and two power settings to control the strength of the device – making it compatible for those with sensitive skin. Microdermabrasion reduces the appearance of fine lines, wrinkles, blemishes, and enlarged pores while also allowing skincare products to penetrate the skin significantly deeper (20 times deeper than it otherwise would without using the Personal Microderm Pro). As with any beauty device, exercise caution and educate yourself fully on how to use the device properly prior to initiating self-treatment to avoid potential complications. After using this device once per week for over 3 months now, my skin looks substantially more smooth and refreshed. PMD Beauty is currently offering a 30% off holiday discount (from $199) – take advantage of this great offer while it lasts. For more information on this must-have device, visit their main site here. INGLOT - Freedom System: I have written about this groundbreaking cosmetic system over and over again throughout the past year for a reason – it is everything you need all in one custom-made beautifully packaged place. Inglot’s Freedom System allows you to select anywhere from 1-40 of their individual high quality cosmetic squares in and endless amount of colors all placed in one durable palette. Cosmetics range from lip-gloss, lipstick, and brow wax, to pressed powders, cream concealers, color correctors, and highly pigmented eyeshadows – making it easy to have all of your favorite cosmetics readily accessible. Any description I can give you here will simply not do the Freedom System justice – hence why you need to check out Inglot’s site here and see what I am describing for yourself. ART DECO - Magic Fix: Every woman that has worn lipstick has experienced the challenge of keeping the color on their lips without transferring it elsewhere – whether it be to their significant other or their wine glass! The solution lies in ArtDeco’s new game-changing product that covers your lips in a waterproof protective shield – Magic Fix. Formulated with bergamot and lavender essential oils, Magic Fix not only keeps your lipstick in place and prevents it from bleeding and or feathering all night, but also provides soothing nourishment. Apply after using lip liner and lipstick. For more information on this innovative beauty essential, check out ArtDeco’s website here. DIOR - Dior Addict Lip Maximizer: Regardless of whether or not you choose to dress your lips up with lipstick or lip stain, this plumper is an essential for those looking to add increased volume and shine. Available in three beautiful natural shades, Dior Addict Lip Maximizer is formulated with collagen, hyaluronic acid, and a blend of marine-based fillers that almost instantaneously plump, moisturize, and smooth your lips. This instant-volume gloss is to be used as a base prior to adding lip colour, and can be used as part of a 15-day intensive lip care treatment to achieve smoother, plumper lips over time. For more information on this innovative Dior must-have, visit their website here. AMARTE - Super Hydrating Collection: The cold and dry winter months can be brutal on your skin – hence the importance of incorporating high quality and ultra-hydrating products into your winter skincare regimen. If you are challenged with dry, sun damaged, and or ageing skin, Amarte has exactly what you need in this all-encompassing beautifully packaged collection. Comprised of four essential products (including a longtime personal favourite of mine – Amarte’s legendary Wonder Cream®), you will notice that your skin will appear significantly more hydrated and rejuvenated after only a few days of proper application. For more information on Amarte’s luxurious Korean skincare line, or to order this superbly effective collection now, visit the company’s main website here. *Originally Published on Behind The Look here.